Volunteer your time to help give the playground equipment Wadleigh Park in Vale, Oregon a new coat of paint. All children volunteers who help paint the park playground equipment, are eligible to enter in the art competition. Each participant will be provided with supplies and brushes and get a chance to create their very own “mini- mural” to be entered into a “visual art” competition. Everyone who participates receives a prize and is a winner! The 1st place prize for each age category wins a trophy. Supplies are provided, but ideas are your own. 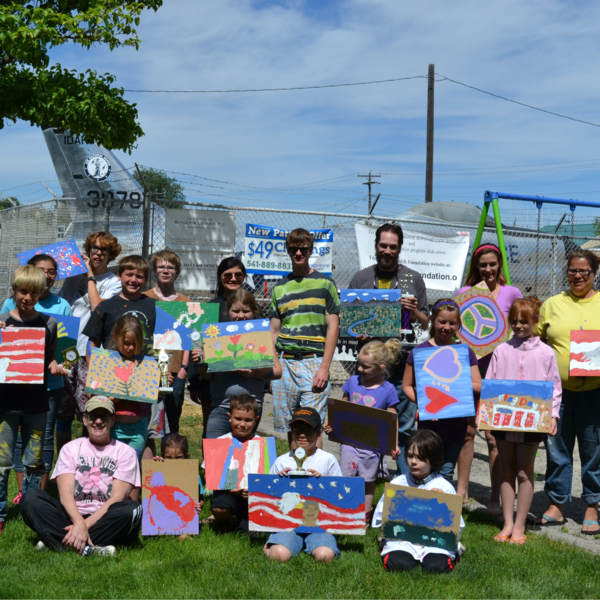 This event is held each year on Flag Day, June 14th from 9:00 am to 12:00 pm, to promote citizenship and community art awareness.